AKIPRESS.COM - Foreign Minister of Mongolia Ts.Munkh-Orgil today had a telephone conversation with his Chinese counterpart Wang Yi, reports news.mn. Ts.Munkh-Orgil said, "Mongolia considers Tibet to be an inseparable part of China under the ‘One China’ Policy and is Chinese internal affair. Mongolia believes that mutual respect is the basis of the development of bilateral relations. The Government of Mongolia regrets that the Dalai Lama’s visit at the invitation of the Gandan Monastery negatively affected relations between the two countries." He reassured Mr Wang Yi on the official position regarding the incarnation of the Tenth Khutuktu (a Buddhist lineage including former spiritual and temporal leaders of Mongolia) and the Dalai Lama’s visit and stressed the importance of developing friendly relations and cooperation with China. 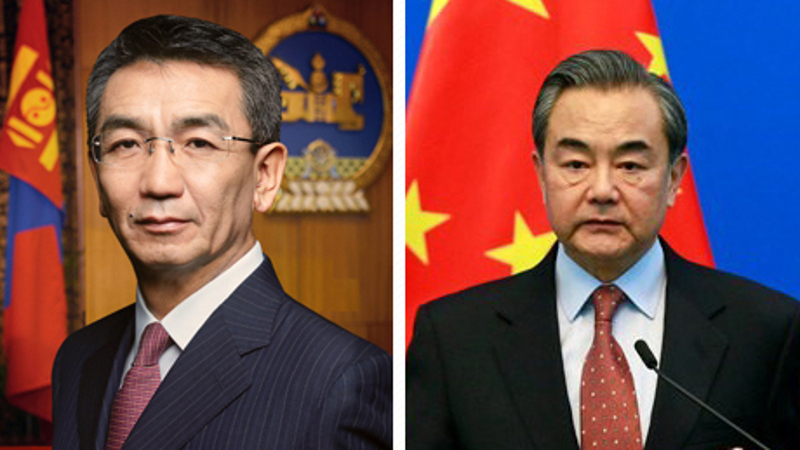 Foreign Minister Wang said: "The stable development of Mongolian and Chinese relations is the foundation of relations between the two counties. China appreciates that the Government of Mongolia vows no more visits by the Dalai Lama under the present Parliament's period in office. We are obliged to Mongolia for trying to solve the misunderstandings between the two countries and respecting mutual interests." They agreed to continue cooperation under the Comprehensive Strategic Partnership Agreement.